In nearly 30 years of listening to this band I've never really stopped and tried to articulate why I love them so much. You see, ever since the first time I heard Brave Words on cassette -- thanks to the music-lover benefits in those glory days when U.S. indie label Homestead Records distributed some awesome New Zealand pop-stuff on these shores! -- I have struggled to mentally unravel what it is about the brainy pop of Martin Phillipps and The Chills that so captivates me. I mean, beyond the marvelous melodies! What I think it was -- and what it remains now -- is that Martin Phillipps writes intelligent pop that doesn't wear its smarts on its sleeves, to explain it messily. There's nothing post-modern or ironic here. Like an earlier generation's genius (Neil Finn) from the same region on this orb, Phillipps writes directly with a combination of emotion and insight that is a rare thing for any listener to encounter. Phillipps pens and sings from the POV of an optimist stuck in a cruel world. That he has a way with a hook doesn't hurt either. For the first full-length Chills album in nearly 20 years, Phillipps took this incarnation of the band to Fire Records, the same label that gifted us the sublime The BBC Sessions release last year. What's here, on the bright Silver Bullets, out next week, are some of the best songs this man has written in quite some time. Phillipps and his crew here have created chamber pop of the very highest order. Opening with the instrumental rumblings of "Father Time" and easing into decidedly warm earlier single "Warm Waveform", there's a sense of confidence in Phillipps and his bandmates' presentation. 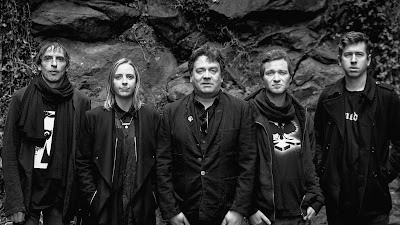 If the title cut springs along jauntily like earlier singles of the sort collected on Kaleidoscope World, then the ruminative "Underwater Wasteland" serves to showcase the strengths of Martin Phillipps as a guitar player. The trenchant "America Says Hello" offers some thoughts on American hegemony (presumably) with the sort of melodic rush Phillipps employed in "The Oncoming Day" back in 1990 on Submarine Bells. It's a testament to the guy's skills as a writer that he couches some very sharp criticisms of American foreign policy in such a delightful package. He remains a fairly subtle writer and even here he doesn't beat his points to death as other song-writers would do when tackling something similar. "Liquid Situation" is a wisp of a number that leads into the positively epic "Pyramid/When The Poor Can Reach The Moon" a song so achingly beautiful in spots that I had to pull the car over to the side of the highway when I played the review copy of this album for the first time a few months ago. Back in August, I sat by the side of the road in the early AM Annapolis fog with the Severn River looming in front of me as I heard a cut that seemed to expand the sound of The Chills in remarkable ways. I'm being a tiny bit dramatic but the effect here is so startling and perfect that I'm sort of shocked Phillipps pulled this off so easily. Think the best bits on Soft Bomb with more ornate trappings and wrapped around a longer track. A masterpiece and probably one of the 10 best songs this guy has ever written. The rest of Silver Bullets after that is given over to the likes of the catchy "Aurora Corona" and the spindly pop permutations of "I Can't Help You", all circa 1983 Chills updated for a new century. "Tomboy" follows to offer a gentle ditty that made me think of Grant McLennan for some reason. Nostalgic and decidedly wistful, "Tomboy" is the sort of melding of sentiment and intellect that only Phillipps can get away with so effectively and seemingly effortlessly. Silver Bullets closes with "Molten Gold", that single from a few years ago. Recast here a bit, the tune is infectious and damn hard to get out of your head once you've heard it. If I've sung the praises of Martin Phillipps quite a lot here it's not out of some plan to maliciously neglect his band-mates this time out. The Chills are now: Martin Phillipps (Guitar/Vox), James Dickson (Bass/Backing Vocals), Todd Knudson (Drums/Backing Vocals), Erica Stichbury (Violin/Backing Vocals) and Oli Wilson (Keyboards/Backing Vocals). The instrumentation here is uniformly superb and I'd be remiss if I didn't name the other players on this record at least once in this gushing review. Silver Bullets is so good precisely because Phillipps has found a way to channel every aspect of his past seemingly at once. From the indie of Brave Words (1987), to the smart "college rock" of Submarine Bells (1990), and on to the expert chamber pop of Soft Bomb (1992), and even nodding in the direction of the more intimate moments on Sunburnt (1996), it's all here. Echoing a catalog that spans back nearly 30 years is no easy feat but Silver Bullets makes it look easy. What's here on this record is some of the best music you're going to hear in 2015 and I simply cannot listen to any cut here and fathom a world where this guy isn't hailed as a genius. In 1987, I could count on one hand the people I knew who knew who The Chills were -- and a few of them ended up in bands you've heard of from the D.C. area -- but now it feels as if there's finally a sense of the admitted greatness of The Chills swelling out there in the vast ocean of the Internet and elsewhere; being a Chills fan is no longer a lonely proposition. It's been revealed, finally and rightly, that Martin Phillipps belongs in the same class of songwriter as Morrissey and Marr, Grant McLennan and Robert Forster, and even the previously mentioned Neil Finn. And rather than rest on his past glories, Martin Phillipps has stepped back out into the limelight with a bunch of tunes that are sharp, memorable, and affecting. He sounds younger here than he did on Soft Bomb 23 years ago. With a tight band of relative youngsters behind him, Phillipps here leads The Chills through songs that are bright, brainy, and full of genuine heart. This is bracing, restorative music and, if possible, I love this band now more than I did in 1987. Silver Bullets from The Chills is out on October 30 via Fire Records. 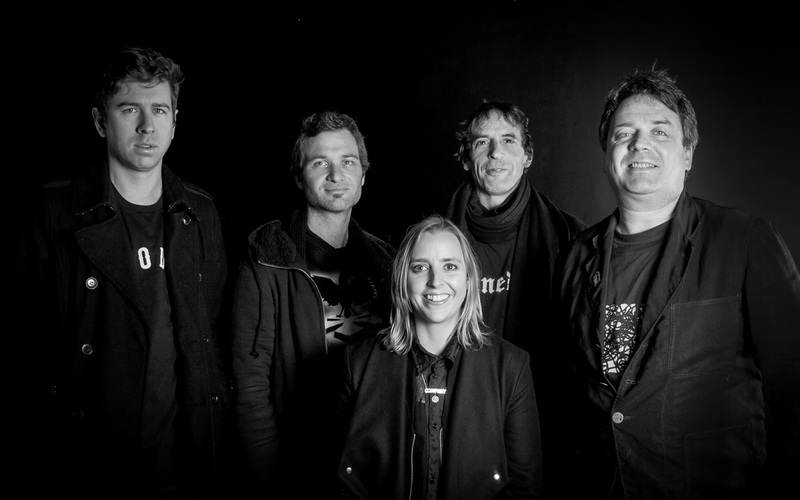 Follow The Chills via their website (www.SoftBomb.com) or via their official Facebook page.